So we’re coming up on $20 billion in data-related spending, and that makes it a good time for hard questions. Is all of this data really driving better decisions, or is only part of it doing the job? And do we have any idea which part that is? Witness the recent report titled “The State of Data 2018,” an exhaustive study from the IAB’s Data Center of Excellence and the Winterberry Group that richly illustrates the spike in spending on third-party audience data for advertising and marketing. U.S. companies spent $19.2 billion in 2018 on “the acquisition of audience data and on solutions to manage, process, and analyze this data.” That’s a stunning 17.5% spike over the year before. One level down the numbers are even more significant. For example, data now takes up 10% to 12% of all display advertising budgets, a 100% jump in only five years. But here’s possibly the most significant metric: This is the first time ever that marketers spent more on digital data assets (gleaned from, for example, anonymous site visits) rather than ‘terrestrial’ data (such as direct mail). It’s not a huge difference between the two yet, but some kind of Rubicon has surely been crossed. Moving forward, we can tell where more of the budgets will go. Now, since the industry has matured so much so fast, and the outlays are so massive, it’s time for a heightened level of scrutiny. We’ve got the quantity: $19 billion and counting is a big number, and it keeps rising. But how’s the quality? This is a critical issue: Most companies now understand the need to enhance customer engagement, use available information responsibly, and create a rich user experience, and all of this relies on data quality. Meanwhile, there’s a welter of regulatory mandates—if GDPR is an exception now, it won’t stay that way for long—enforcing stringent restrictions on the use of exactly these data streams. All these factors makes the acquisition and use of audience data a top-tier management priority. In fact, providing insights, attribution analysis, market research and panel or sample-based performance reporting is vital. However, the imperfect science of advertising analytics may be even less scientific than we feared. Sure, having all this information at our fingertips is hugely beneficial. But that’s a sweeping concept—how can we tell which particular data nuggets are enhancing which campaigns? We can’t: Unfortunately, the data providers are often the only entities with the tools and methodologies to judge the quality of the data they present. In a business environment built on a staggering array of diverse data silos, almost all initiatives are measured only against metrics devised by the vendors themselves. On a related note, let’s note that the companies that own all the data don’t actually have all the data. That’s in part because there are so many third parties deeply involved in the process of data collation, aggregation and syndication, in effect middlemen who attach their own tags to the ads and related content. They capture everything; what they pass on to the brands is segmented, based on metrics the vendors devised. The rest of the data gets stored in unrelated silos, and discarded altogether after 30-90 days. The rising dominance of more sophisticated technologies makes these hard questions even harder. As in: Why are my Artificial Intelligence tools and machine-learning processes not performing as well as they should? Could it be because they’re often connected to static and stale data? Yes, it could. And that will only change when we change the rules. What we need now is a dynamic environment that combines all customer experience and related data in the most appropriate context, and offers metrics to gauge the value of each data element. We need to implement tools and processes to measure every vendor’s true efficacy, and thereby optimize the entire discipline of customer acquisition and retention. As with so many other functions, there are new technologies available to do this. Imagine going from third party to first party—data that’s gathered directly by system association with a specific domain, on behalf of that domain. This means companies can now tag, collect and traffic all data sets themselves, and store, manage and connect with multiple buying centers. At a time when so many resources are devoted to the acquisition of audience data—again, that’s $19.2 billion and counting—it might make for a refreshing change for companies to have control over the process of capture, refinement, quality analysis and exploration of all advertising and performance data. That way we’ll have a much better understanding of good vs. bad data—and that might make the conclusions in next year’s State of Data report very different. 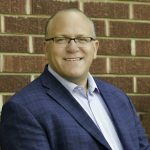 A relationship builder, Marc has over 20 years of experience consulting on technology and data solutions in direct marketing, CRM, and omnichannel digital marketing. Marc has extensive enterprise expertise and has worked with solution providers like Epsilon, Donnelly Marketing and InfoUSA, as well as founding a successful start-up consultancy, Advantage Insight, which was acquired by Redi-Data. Marc holds a B.A. from John Jay College, CUNY.